The concept of going green has saturated the public consciousness, extending even to the furnishings we put in our homes. You might wonder, what exactly is eco-friendly furniture and how can I incorporate it into my decor? Luckily, there are more options than you might think. The world needs all the trees it can get, so look for furniture made from sustainably harvested wood. Choosing pieces certified by the Forest Stewardship Council (FSC) is a good place to start. The FSC sets standards for responsible management to protect forests for future generations. You might also consider eco-friendly furniture made from reclaimed wood or give new life to an existing piece by refinishing or repurposing it. Reclaimed wood usually comes from old houses and barns, factory scraps, or other furniture. Check for the Rainforest Alliance's Rediscovered Wood seal when browsing. To repurpose, look around to see what you already own or shop vintage stores. It could be as simple as adding a coat of paint to match your new decor or getting creative and putting an old door across two forgotten end tables to make a desk. Repurposed eco-friendly decor saves trees, cuts down on the need for volatile glues and paints, and slows landfill buildup. You probably don't think of your furniture as something that breathes. However, when you bring a piece into your home, it does something called offgassing. That means it releases particles, substances, and odors into the air. This is when furniture made with volatile organic compounds (VOCs) is most harmful not just to the environment, but to your family's health. Paint, formaldehyde in adhesives, and flame retardants used on upholstery are the most common VOCs. They have been linked to eye, nose, and throat irritation, headaches, nausea, liver damage, and even cancer. Paint, formaldehyde in adhesives, and flame retardants used on upholstery are the most common VOCs. They have been linked to eye, nose, and throat irritation, headaches, nausea, liver damage, and even cancer. This is an important consideration when decorating any room in the house, but an absolute must when considering what eco-friendly baby furniture to buy, as children are especially susceptible. Durability is a vital component of sustainable wood furniture. It might seem like common sense, but the longer something lasts, the less frequently it needs to be replaced, thus reducing the waste in our landfills. Sustainable furniture is good for the environment and saves you money in the long run. Quality goods can last for centuries and be handed down through generations. You can also look for furniture made from recycled plastics and metals, as recycled materials require fewer resources to produce. Good eco-friendly decor should be easy to repair and quick to take apart so various segments can be repurposed into new furniture. This is particularly helpful when shopping for eco-friendly office furniture, as adaptable pieces have a positive impact on corporate bottom lines. This is the true, often unspoken nature of recycled goods. It has to be painless to turn them into other things. Outfit your room with eco-friendly bedroom furniture by looking for mattresses with natural fillers like wool and down. Wool and cotton are good wrap materials, as well. Natural latex is a renewable, eco-friendly material that offers contouring support. 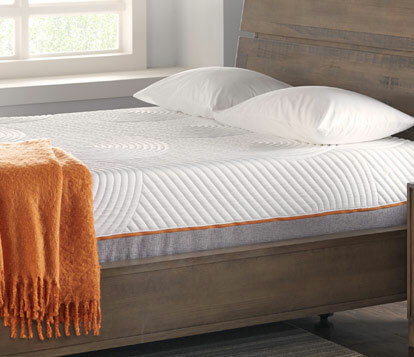 Some memory foam mattresses incorporate plant-based materials to reduce the level of chemicals used in production. Complete the ensemble with organic cotton sheets and wool comforters. As with your other furniture buy a mattress that will last, but when it is time to replace it, remember that mattresses and box springs can be recycled in many states. Bamboo is a popular option for sustainable furniture. This material is really a grass with wood-like properties, so it grows faster than forests. Its versatility and beauty is desirable in eco-friendly decor, as it can be used to make flooring and blinds as well as furniture. Just be aware that there are unanswered questions about the true sustainability of bamboo. Some growers don't use pesticides and some do. Harmful glue, which contains VOCs, can be used to compress multiple layers to make solid planks. It will pay to do some research about the sourcing and manufacturing of bamboo products before you purchase and bring them into your home. It will pay to do some research about the sourcing and manufacturing of bamboo products before you purchase and bring them into your home. Painting your home is one of the easiest ways to transform the look of a room. New low or no VOC paints now make it part of eco-friendly decor as well. These options give off lower levels of fumes and are safer for your family. In addition, try organic drapes and window coverings made from natural fibers, and use light colors to reflect the sun in the summer. Thermal curtains help insulate against the cold in winter and save energy. Finally, think about buying eco-friendly furniture with multiple functions. 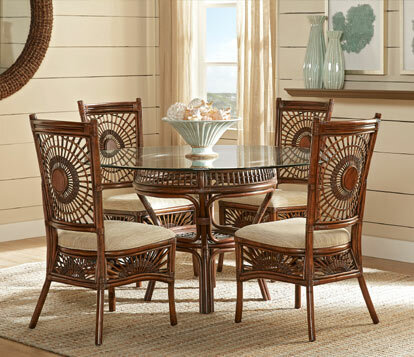 Drop-leaf dining room tables can expand to accommodate a crowd or contract to seat one. For single-occupant apartments and small homes, think about purchasing dual purpose furniture such as a coffee table that can transform into a dining table when you need one.